DONATIONS of warm clothes and blankets are being accepted at the Hervey Bay community centre, to help comfort the homeless this winter. 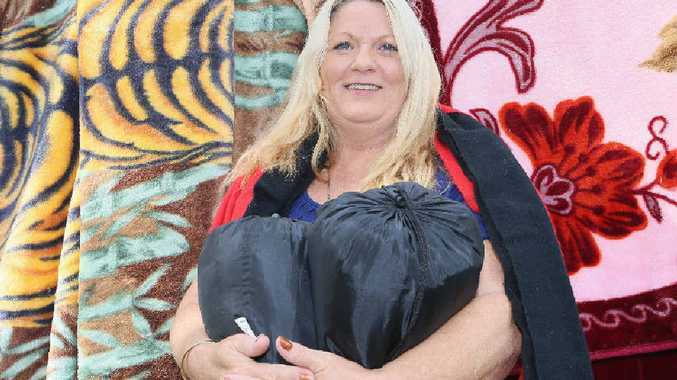 Blanket and sock drive organiser Jannean Dean said there were 150 homeless people in Hervey Bay on any given night, who were now suffering the cold. She said homelessness was an absolute tragedy and encouraged people to think of others during the cold season, by donating blankets, socks, beanies, gloves, scarfs or other winter items. "As a community, we need to be responsive to people who are homeless, not just for moral and social reasons, but also for the sake of the stability of the entire community," Ms Dean said. Queensland Council of Social Services (QCOSS) CEO Mark Henley said the winter months were particularly straining on the health of homeless people. "We know that the experience of homelessness has a serious impact on health, for example QCOSS predicts that the rate of asthma in people experiencing homelessness is up to 2.7 times higher than the broader community," Mr Henley said. "These health issues are also likely to be under treated and under managed and are only exacerbated during the colder winter months."